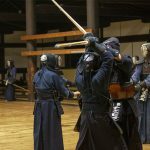 Members from the Japanese National Kendo Team including All-Japan Championship winners Nishimura hidehisa and kiwada Daiki cross shinai with participants from all over Japan and the world at Tozando’s annual Renseikai. The visiting teachers all impart importants lesson that can be applied in shiai and everyday keiko. 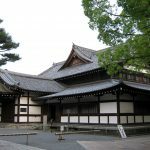 On Saturday the 22nd of December 2018, the Tozando Renseikai was held at Kyoto city’s Budo Center; All Japan Champion Nishimura Hidehisa was invited alongside other guests. We hold this event as a show of appreciation towards our customers. This year is the third time the Renseikai has been held. 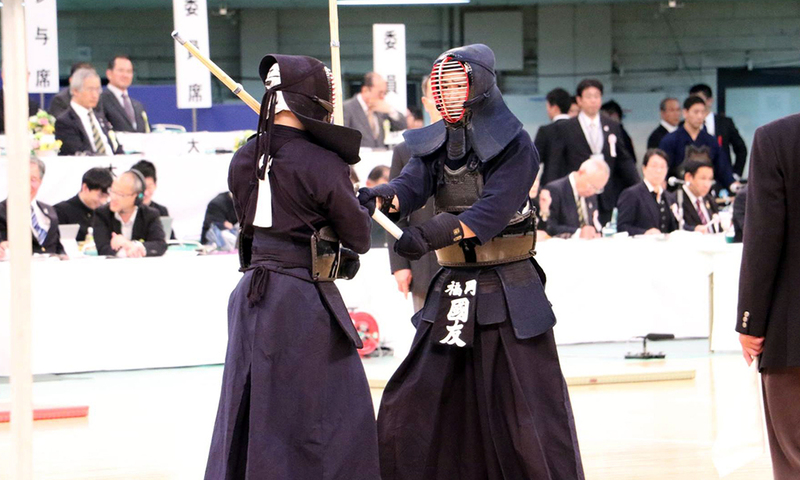 Customers in Japan who bought items from our shops went into a draw, and 100 people were chosen to join the event where they received instructions from top players and practiced Kendo together. Participants ranged from elementary and junior high students to senior high students and adults. We want to encourage as much itnernational participation in Kendo as possible, so this year international customers were allowed to register openly, we were lucky enough to be joined by three international kendoka as well. We hope for more to join for the 2019 event! Guest instructors included Nishimura Hidehisa(Kumamoto Police, Winner of 63rd, 65th, and 66th All Japan Champioinship) as well as Fujimoto Mei (Teacher at Kugoyama High School), both Japanese representatives at the 17th World Championship in 2018. Once the opening ceremony had finished, all participants joined in the warm-up exercises and suburi practiced by the Japanese national team. Next, Nishimura and the other guests gave a demonstration on kirikaeshi, oyobi-men, kote, and kote-men strikes. Faithful to the basics, body never out of position, and with worldclass strength and speed, all participants watched eagerly. After that, everyone practiced kirikaeshi and uchikomi with each other. Following on, each guest gave their own lecture, based on a different theme. Nishimura’s lecture can be summed up as “practice that seizes the opportunity”. From the standard starting posture, players usually move forward, then backwards in a fixed and predictable rhythm. But Nishimura Sensei showed us that a striking position that can be practically applied in matches (and jigeiko) by first aiming for the moment the opponent moves back, then tries to come forward, and secondly chasing the opponent as he moves backward (striking him as he settles in the backward position). After demonstrating these principles, the participants practiced them. For the kote, when you chase your opponent as they move backwards, Sishimura Sensei demonstrated that you can chase them and strike straight away or wait for one moment before you strike. He then asked the surrounding participants which move was better. Most people thought the first option was better, but suggested that the correct answer was the second. When you chase and strike, most people think you are aiming for the men, so their hands will move upward. It is more effective if you wait for one moment for your opponent to lift his hands before striking. Nishimura’s kote strikes were said to be unavoidable even if you knew they were coming. He generously taught everyone a part of his exquisite technique. 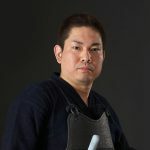 “It is important for you to pull out your strikes confidently, but no matter how well you pull out your strikes, if they do not match your opponent’s move it will not lead to an ippon”, Nishimura emphasized. Fujimoto Sensei’s lecture was about hiki-waza. When she first asked the participants whether they were good or bad at hiki-waza, most of them said they weren’t so good. 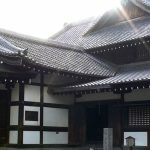 Fujimoto, too, said she was not so good at hiki-waza in her junior and senior-high days (Kyoto, Kugoyama High School), but when she joined Kanoya Taiiku University in Kyushu, all the players around there were using hiki-waza comfortably, so she realized their importance and put extra effort into them when practicing. From this experience, she taught everyone methods of breaking the opponent’s balance and kamae from the tsubazeriai position. She emphasised that when the shinai are locked like this, it is important to keep your distance between your shinai and yourself. She then gave demonstrations on hiki-waza variations; one where you put the right foot forward diagonally and balance-break your opponent from the top-right to then strike men, and a hiki-do when, from the previous balance-break, your opponent lifts their hands. After that, the participants practiced these techniques. Fujimoto gave the advice: “When you perform hiki-waza, your opponent will try and chase you. Practice hard so you can break down your opponent completely, so that you will not be chased. Then you will be able to get ippon.” It is not often that you get specific instructions on hiki-waza, so this was a highly valuable lesson for everyone involved. 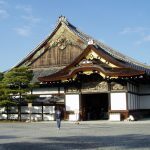 With those lessons ended, the Renseikai which began at 9:30 am had lasted for more than 2 hours. 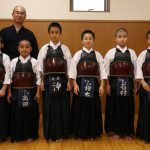 After a 20-minute break, the guests took their positions, and elementary and junior high students were able to do uchikomigeiko for 20 seconds each. 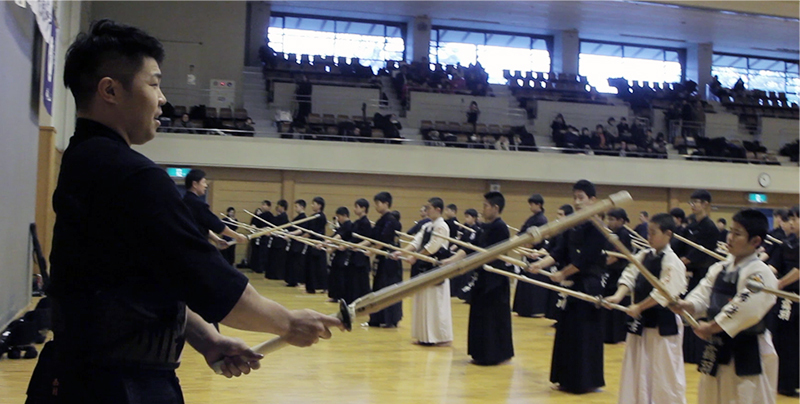 After that, high schoolers and above also got the chance to take on the 4 guests, in jigeiko. After the closing ceremony, the guests quickly got changed and then signed autographs for 45 minutes. Getting the autographs and being able to meet in person people like Nishimura who play at the top level in Japan would have been an unforgettable experience for the elementary and junior-high students. Though time was short, the lessons by the four visiting guests were full of great content, and served as the biggest part of this event. Surely it would be a great asset to all the participants. All lectures were specific and full of applicable content. This practical information was derived form the teachers’ experience in training and competing alongside the best kendoka in the world. All the kenshi who took part managed to take home something that will help them become greater players in the future.